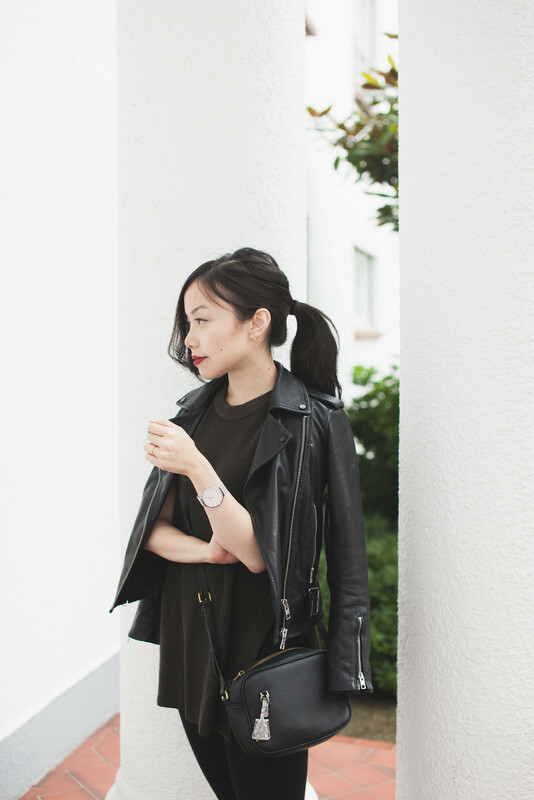 Over the years, I’ve become a big believer of wearing the same pieces again and again. I’ve come to realize that I’m a creature of habit, even when it comes to my wardrobe: once I find something I like that works I’ll stick to it loyally, even if it means replacing a piece with a near-identical one once the old one has worn out. And even as I pursue my sartorial goal of re-incorporating more visual interest and personality into my style this year, I would still like to ground my looks with my tried and true pieces that I love and wear all the time. 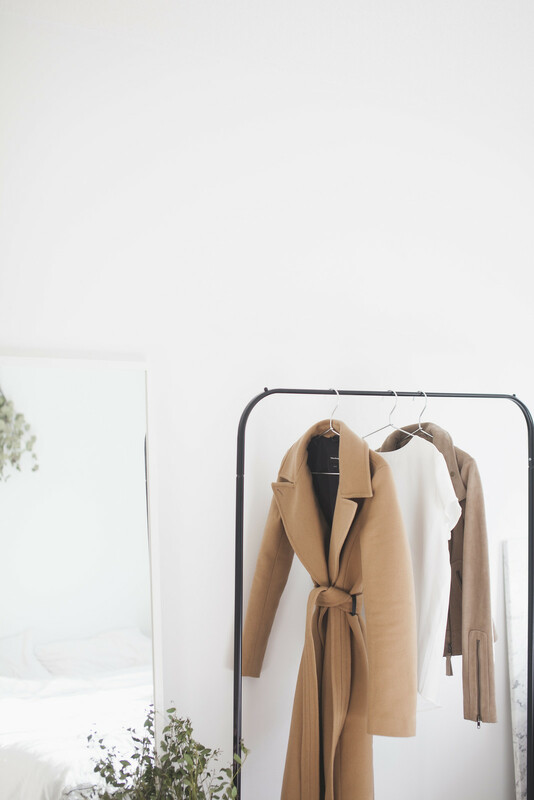 Today I want to give you a peek into my closet and share what those top pieces have been for me. But before we get into that, please know that although each of these definitely veer toward a classic and minimalist aesthetic, I don’t think they are “must-haves” for every wardrobe by any means – these are simply the ones that have worked for me that I want to share with you. If any of them pique your interest, I’ve also linked to some of my favourite picks, many of which are never-go-on-sale pieces that happen to be discounted on Shopbop for the next few days (just use the code GOBIG17!). So, without further ado…. 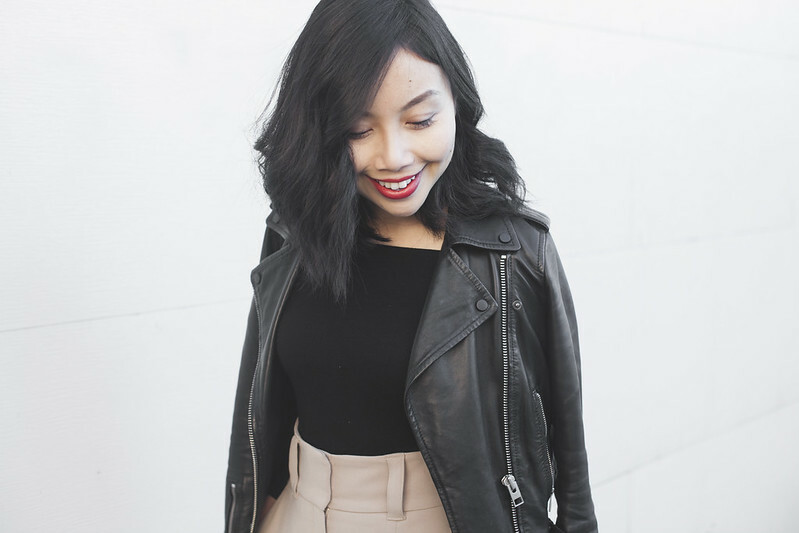 I’ve shared about my love for my leather jacket (above) and have worn it on the blog so many times that you’re likely sick of it… but that’s just how much it’s worked for me. Mine is a limited edition from ALLSAINTS two years ago, and I’ve probably worn it over 200 times since it made its way into my closet. Judging by how often I reach for it throughout the year, I don’t think it’s going to be retired anytime soon. My particular jacket has worked for me because of its clean lines, relatively minimal hardware, and the fact that it isn’t too loose or tight – making it easy to layer under or over it. And although a leather jacket can definitely be one of the biggest closet purchases to make, the cost-per-wear and wardrobe longevity on a good one makes it so worthwhile. For the days that I want to quickly appear a little more put together, my camel overcoat is a go-to piece. I feel like this is one of those items that is truly timeless and ageless: it looks just as good on a woman who is in her 20’s as it does on one who is in her 60’s. Nothing pulls a look together more effortlessly. An overcoat, to me, is also a piece where the difference between good and poor quality is quickly noticeable, especially once it ages a little. I’ve purchased less well-made coats before, made in synthetic materials and blends, and in addition to the fact that they were nowhere close to being warm enough, they showed major signs of wear after just a season or two. The best coats I’ve owned have been the ones that are made of 100%, or are mostly comprised of, wool. The weight, warmth, structure, and quality are incomparable. I’m the kind of girl who tends to use the same handbag every day, mostly because I’m just too lazy to transfer everything from one purse to another. 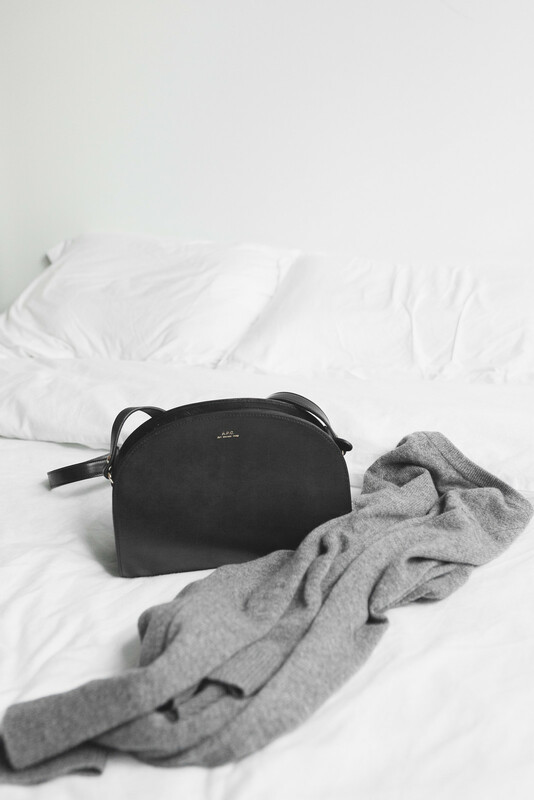 For the last few months, my compact black crossbody has been my daily choice. 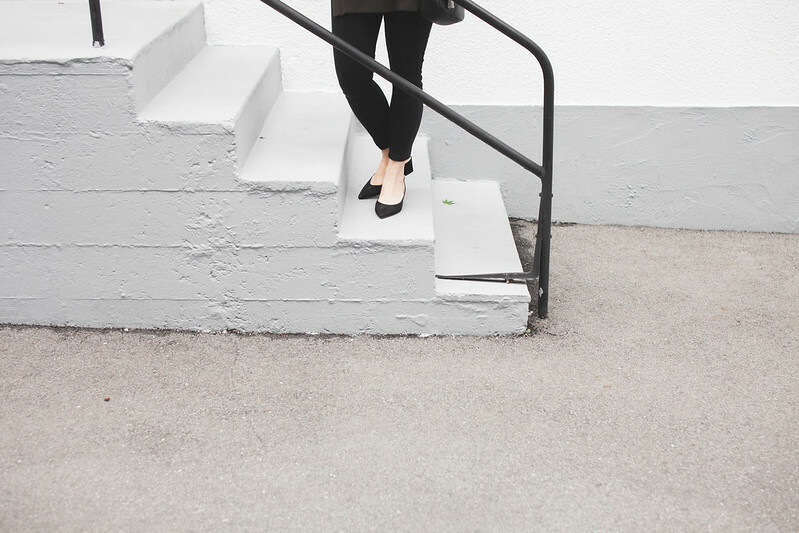 I’ve always had a penchant for the refinement that a structured purse can lend to an outfit, and the one I use manages to do it in a way that isn’t stuffy or too dressy for a casual look. And okay, let’s be honest here – it just makes me feel a little bit cooler than I actually am. Of all the bags I’ve owned, I’ve seen a theme in wearing and keeping the ones with the least hardware and are the most minimal. Unless I’m getting dressed up, I typically like my bags to blend seamlessly into my looks instead of being the statement piece. Whether I’m wearing denim, a skirt, or cropped trousers, black ankle booties pair well with everything and are always a no-fail option. I walked for miles and miles in my Zara ones (which were copies of this Acne boot) for four seasons and re-soled them twice, and they’re finally giving out after this winter. 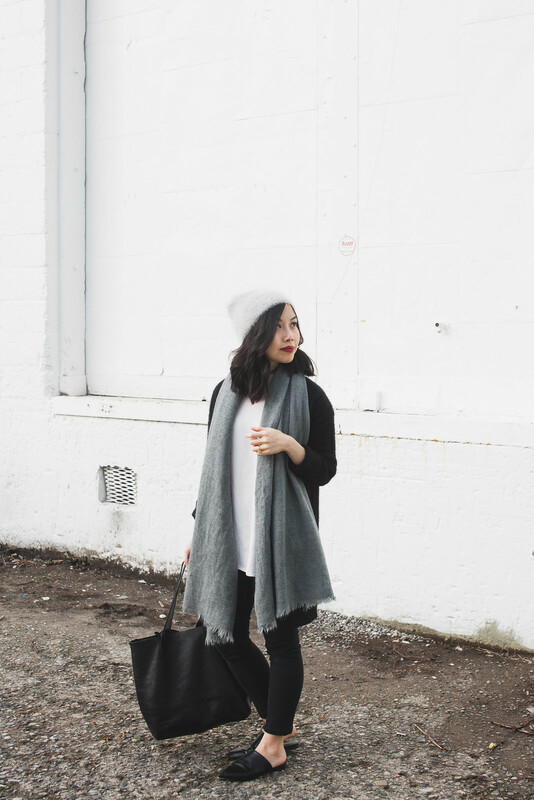 This year I’ve added the Everlane Heel Boot to the mix as the replacement, since I’m quite sure this style will remain a perennial favourite in my wardrobe. Because they’re less pointy, I feel like this pair is a little less leg-lengthening, but the extra heel height on them help compensate for that. They’re also still comfortable enough to walk in all day, which is of highest importance to me. Heads up if you are planning on getting a pair of boots with a leather sole: do get a rubber grip added to the bottom by your cobbler if you wear them in the winter; the leather bottoms are beautiful but can be slippery! Whenever I’m in a rut or don’t want to think about what to wear in the morning (which happens more often than I’d like to admit), I’ll pull out my black jeans. For me, they’re an ideal base to build a look upon since they’re so easy to style, and basically every kind of shoe will work well with them – be it white sneakers, oxfords, mules, or of course, booties. I’m a pear shaped petite, which means that my waist is substantially smaller than my hips and thighs. After wearing all kinds of jeans that didn’t fit my body, I’ve learned that I like my denim high-waisted, cropped above the ankle, and perfectly tapered at the knee and ankle. The higher waist ensures I don’t get the gape at the waist, and the shorter length and skinny leg help me look a little taller and leaner. I’d love to know – what are the pieces that you find yourself wearing over and over again? I also am a creature of habit. Love your style! I too have a small waist and bigger hips/thighs. I was wondering: what brand(s) is(are) your “go-to” for jeans? I love the Rocket style by Citizen’s of Humanity, and FRAME denim as well. I’ve also heard good things about L’AGENCE’s high waist denim and plan on trying a pair soon! I agree with all of your staples. I have all but the leather jacket, which I really want to get my hands on. I absolutely love your style! i have been eyeing the APC bag, but have read that it is hard to get things in and out due to the structured shape. do you find it easy to use and maintain? Thank you so much, Mary! The top of the APC bag is a little bit narrow, but I don’t keep that much in it – usually just my keys, a small card case, my phone, and a lipbalm. I actually like the structure because I feel that it holds up better. I’ve had no issues with it, but I could see how it might be cumbersome for someone who likes to stuff their bags to the brim. Hope that helps! A leather jacket will never go out of style! 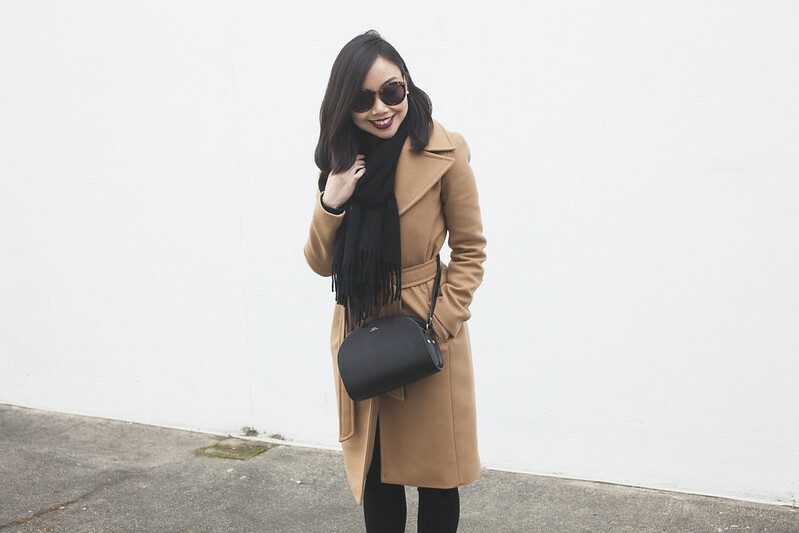 I bought the camel coat through you link and loved it. Thank you for the recommendation. I am 5’3 and it is a bit long for me. The coat fits you so well. Have you got the coat altered? Yay – so glad you love it!